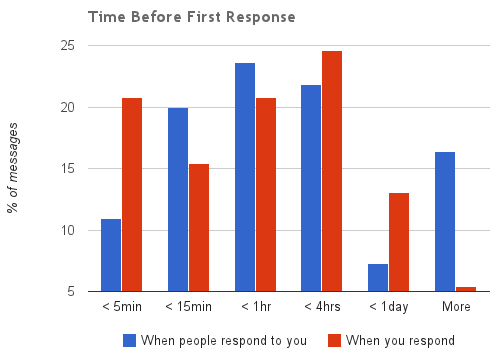 Wow, 1-hour target response time for business partners and colleagues? I’m nowhere near that, nor do I want to be. My goal is end-of-day. I’m in a very different position than you, though, because I do a ton of individual contributor work that requires intense concentration, whereas the key thing for you is probably making sure to close the deals you want to close. Love the analytics that you included! Laura, thanks for joining the conversation! All terrific points, especially when someone’s role is heads-down-building-something. Very fast response may be a better fit for management or networking oriented roles (BD, sales, etc) where a lot of links tie back to one person who needs to keep multiple balls moving down the court. That said, everyone should have service levels for responsiveness regardless of role types… and clearly you do… sounds like end of day works for you and your org, which is terrific! Your startup looks quite interesting, by the way. Would love to chat. I will e-mail you. Or feel free to e-mail me guy at hydeparkvp dot com. Thanks, Jeff. Really appreciate it. Managing my email inbox has always been my Achille’s heel, but have really focused on reigning control of it over the last few months. More focused and concise emails, fewer recipients cc’ed, trying to eliminate low-value email responses like “thanks”, and unsubscribing. I have also found that following up and closing the loop on vendors, salespeople, recruiters, and the like has done wonders for endless hello “can I get your attention” emails. Hey Phil, I like the idea that responding to unwelcome solicitations may actually stop them from bothering you more! Thanks for sharing your thoughts. 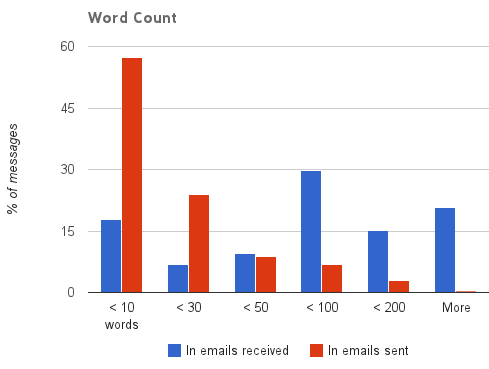 Nice tips on managing email Guy, I appreciate your post. Previous Previous post: AngelList: VCs in sheep’s clothing?